Sunderland is one of four clubs being criticised for its disabled access. The Equality and Human Rights Commission (EHRC) has criticised four current and former Premier League clubs for failing to make voluntary commitments to comply with minimum standards for disabled access. Sunderland, Crystal Palace, Hull City and Manchester United currently fail to meet legal requirements for access and, while they are all making progress, they have declined the EHRC's offer to make informal agreements to guarantee eventual compliance. This is described as "disappointing" and it is contrasted with Chelsea's willingness to make a binding agreement to comply by the start of next season and the informal agreements Burnley and Watford have made to do likewise. The criticism is contained in the EHRC's "The State of Play: progress on accessibility at Premier League clubs", a 125-page report published today. Looking at the 23 clubs that have played in the top flight over the last two seasons, it says England's richest clubs have made significant strides to meeting accessibility requirements - although it must be stated that clubs were first asked to do so nearly 20 years ago. Wheelchair-user spaces have increased from 3,024 in April 2017 to 3,724 last month, with a further 330 spaces due before the start of next season. That will mean 19 of the 23 meet the standard, which is based on a sliding scale according to each ground's capacity. Seventeen of the 20 clubs from 2016/17 now provide a sufficient number of "amenity and easy access seats" for disabled fans not in wheelchairs, up from eight clubs a year ago, and all 20 have enough accessible toilets, compared to just 10 in 2017. There are also encouraging statistics for Changing Places toilets - larger facilities with a changing bench and hoist system - and sensory rooms for fans with autism or other sensory impairments. But the report makes it clear that this progress has only come after the EHRC threatened legal action under the Equality Act, which states that venues which fail to make "reasonable adjustments" for disabled users could be guilty of "unlawful discrimination". Faced with this threat, the Premier League made a pledge in 2015 that its clubs would comply by the start of the season just finished. At that point only two of the 20 did so. While most clubs were able to meet this pledge, some faced difficulties, particularly those with older grounds or plans to move in the near future. For example, the EHRC had to write to Chelsea twice last year to point out it could not postpone compliance until Stamford Bridge's redevelopment. The club eventually acknowledged this and made a legal commitment to compliance by the end of 2018. There was praise in the report for Burnley and Watford, too, who also had logistical constraints but made voluntary commitments based on building work planned this summer. The other four clubs in this situation, however, "declined our request to enter into an informal agreement with the commission", the report noted. "This is disappointing but we have assurances from them all that they will carry on improving their provisions." 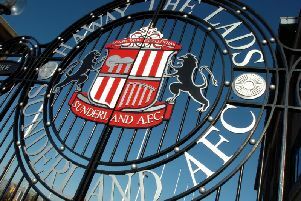 A statement from Sunderland rejected the EHRC's criticism, saying it was "wholly inaccurate" to suggest the club had refused to enter into agreements to ensure compliance. "Sunderland have engaged in positive and proactive dialogue with ECHR throughout the process and they confirmed to us that we did not need to sign up to the agreement the ECHR proposed," it said. Furthermore, the club pointed out that the Stadium of Light's provisions are thorough, including football's first sensory room, with a second room now installed, too. Manchester United currently have 126 wheelchair bays, 151 short of what they need, but the club announced a five-year plan to reach the required target in January 2017 and have now agreed with EHRC to do the work in three years, with 40 of those ready for the start of next season. In a statement released to Press Association Sport, a Manchester United spokesman said: "We have been in dialogue with the EHRC for two years and they are aware of the issues that we have in relocating 2,600 existing season ticket holders. The club does not envisage any change to the compliance date that we set out in the original announcement." Crystal Palace and Hull did not respond to requests for comment. The EHRC's chairman David Isaac, however, said: "Disabled fans support their teams through thick and thin; it's good to see clubs doing the same for them. Clubs have come a long way. "Along the way we also met some resistance. It's pleasing that so many clubs - including Chelsea, one of the world's biggest - have taken our threat of legal action seriously and are now working with the commission to deliver real change."